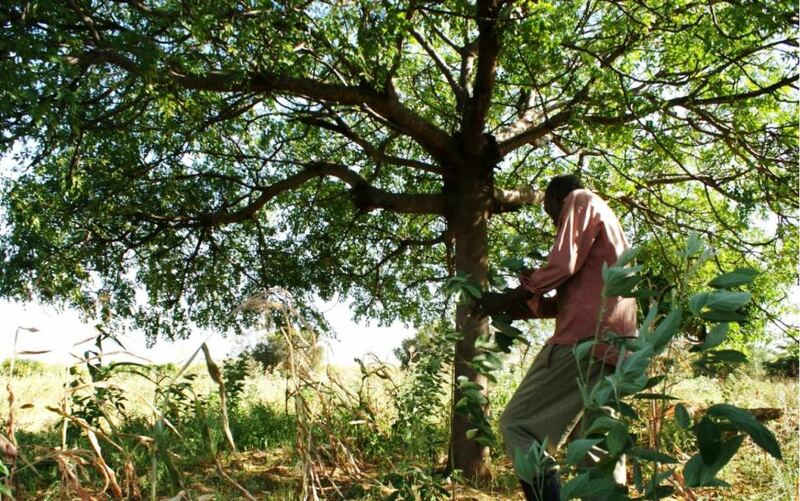 Worried that a drought could wipe out his crops back in 2000, farmer Jonathan Kituku Mung’ala remembered meeting agricultural customers, in his previous job with Kenya‘s power company, who were making good money growing a hardy, native tree. Mung’ala, 63, decided to plant 100 Melia volkensii trees on his 65-hectare (160-acre) farm in Kibwezi in southern Kenya. Ten years on, he has more than 7,000 trees. Farmer Jonathan Kituku Mung’ala demonstrates how to nurture Melia volkensii seedlings at his farm in Kibwezi, southern Kenya, on February 5, 2019. That led to soil erosion, as the direct heat from the sun killed off many of the enriching organisms. 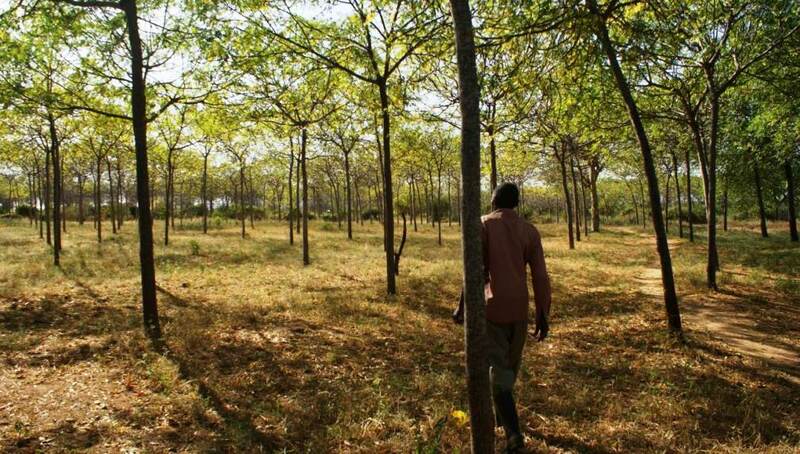 “The Melia volkensii is changing this because it takes (only) about three years of the tree dropping leaves on the farm floor for degraded soil to become fertile again,” said Gitaari, who has several of the trees on his farm. Workers at the farm of Jonathan Kituku Mung’ala in Kibwezi, southern Kenya, prepares to deliver grass for baling on February 5, 2019. But farmers cannot simply plant the tree around their farms and expect to get rich, said Mung’ala, the farmer in Kibwezi. While growing Melia volkensii is easy, only farmers who know how to properly care for it will see the full benefits, he said. The tree needs a lot of pruning to ensure it grows properly and to keep the trunk straight, so it can be sold for timber. Farmers also need to learn how to extract the seeds from their kernels carefully, as they are easily damaged, Mung’ala added. 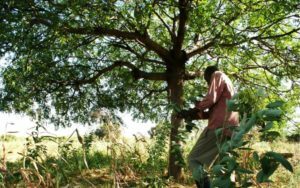 Even when farmers know how to grow the tree successfully, they should be wary of relying too heavily on it to see their farms through the dry seasons, says Alice Akinyi Kaudia, co-chair of the Climate and Clean Air Coalition, a U.N.-led initiative to cut short-lived climate pollutants. 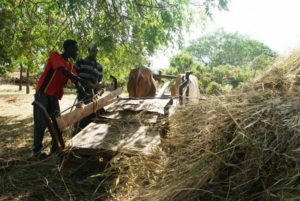 Farmers may be able to sell the tree’s timber when they are short of money, she noted, but they still need to grow crops to feed their families and sell to their communities. “If everyone has money and there is no food, will people eat money?” she asked. Jonathan Kituku Mung’ala tends to his trees. 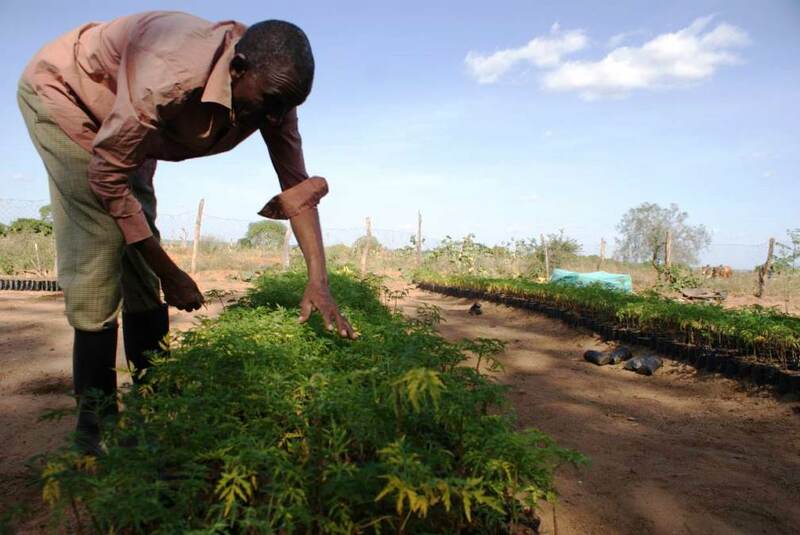 He also sells Melia volkensii seedlings to fellow farmers and some of his trees for lumber, charging 8,000 shillings per metre ($1 = 100.6500 Kenyan shillings). Wood from other popular trees, like pine and cypress, fetches half that price, he said. All photos courtesy of Thomson Reuters Foundation / Kagondu Njagi. This article by Kagondu Njagi (edited by Jumana Farouky and Sebastien Malo) was originally published by the Thomson Reuters Foundation. Reprinted here with permission.